Pink hair- A Hair Do, or a Hair Don't? 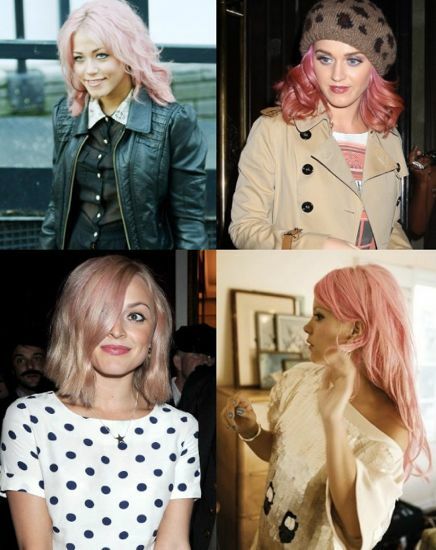 Would you dye your hair pink this Autumn? With all this hype surrounding X factors Amelia Lily's pink hair, I am beginning to take the idea of having candyfloss coloured locks seriously! My hair has always been blonde and I always get exactly the same thing done at the hairdressers, highlights, so I really would like a change now! I mean, it's been the same since I was a teen! I like the look of the Ombre hair trend (going from dark to light, as if you have massive roots. See Lily for inspiration), but I don't think it really works with bleached blonde hair! Then I am considering going brunette, with a few golden highlights. But nothing seems quite as interesting as this candy-flossy pink glaze, which seems so much more fun! So what do you think? Is pink hair a good idea? Or would you rather shave your head than have a mass of candy floss sticking out of your head? I feel completely the same about my hair. I've always been blonde but I would love to try a new colour. I was thinking like a chocolate brown (hoping it would "warm" me up) or I love the idea of having like a pink dip dye. Such a hard decision!